Contrary to popular belief and expectation I am not a fight fan. Often on trips I am invited to attend fights but I always decline. Watching two people beat each other up is not my idea of entertainment. There was a time when I watched hundreds of fights in order to learn techniques and strategies. I incorporated that knowledge into our training with IKI. I disdain many of the fighters, those who are arrogant, "I am the best" type of showmen, but I do respect a few. I respect those who use this brutal sport as a means to climb out of poverty and discrimination. I also respect those who use it a way to personal empowerment. We are all fighting inner demons, for some the salvation comes from facing those demons in the ring. We can watch someone fight in the ring but we never know the enemy they are fighting within. For those who face their fears, I salute you. Recently I have been following one fighter, a young Israeli woman. Her coach is an old training partner of mine. We trained together years ago and faced off many times. He was always a very tough opponent. Over the years we each pursued our individual path. 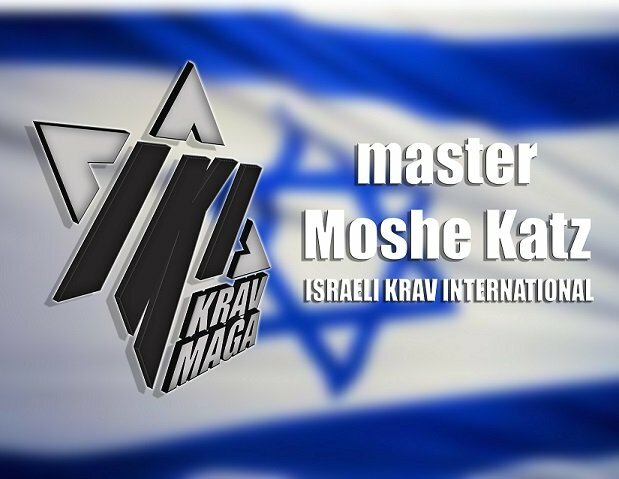 He took the path of sports martial arts and I took the path of Krav Maga and reality self defense. To each his own. A couple of years ago we met again on a flight home from Moscow, Russia. He was with one of his fighters, a fine young man named Gershon, while I was on my way home from a Krav Maga seminar. It was a wonderful reunion. I drove his fighter back home to Jerusalem. This fighter is as tough as they come but a true humble and religious man. If you met him you would never guess he is a champion fighter. Now this same friend is traveling with a female Israeli fighter and I have been following them and keeping up with the news. She recently won a world championship against a tough Russian fighter who stood a head taller than her. The little Jewish girl from Israel is a true champion. But what do I like about her? I look at her face and I do not see the arrogant nasty females that dominate this brutal sport. I do not hear "I am the best there ever was". I see modesty, humility and a kind Jewish face. I see a simple girl who for some reason needs to do this. As such I respect her. In addition I know she is a religious girl who despite all the travels manages to maintain the laws of our faith. But other thoughts come to mind as well. I look at her, I see her very defined stomach muscles and large arm muscles and I understand just how fit she is and how much work went into this. She is a top athlete at the peak of her game. You cannot reach this level without giving it your all. The past 11 years of her life have been devoted to this. I recall when I was at that stage of life, when I spent hours each week, each day, in the gym and I recall how I looked then. But things have changed. My time is no longer devoted to physical perfection or fighting in the ring. Now my time is devoted to researching and developing techniques that will save peoples lives and to running an organization that will provide teachers worldwide with these life saving tools. I have no time for sport. I am impressed by this young Israeli girl and I respect her. I congratulate her and wish her every success. But this is no longer my game. My game is life. I think of the article Hal sent out the other day, about a 28 year old woman who was murdered by a man she met while hiking. I think of her decapitated head and suddenly the idea of being a top athlete and winning in the ring no longer matters at all. No, I know I have made the correct choice, I have devoted my life to the correct cause, survival. Having six pack abs, a perfect body and a room full of trophies is wonderful but teaching people how to stay alive trumps that for me. Training to win a Muay Thai fight is not the same as training to fight off a drifter with a knife. And this is what Krav Maga is all about. As Arthur Cohen would say, Stay Safe. Catch you later down the trail. On Line Training and IKI Membership - Never be left behind. Never be caught doing yesterday's Krav Maga or "Commercial Krav Maga". Learn the real deal directly from Israel to your home computer.